Let’s begin with the obvious. 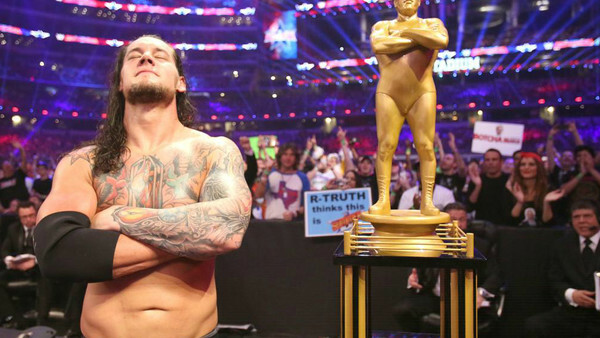 The Andre The Giant Memorial Battle Royal has been a fixture of the WrestleMania card for five years now and doesn’t appear to be going anywhere, the same of which could be said of most of its winners. Having been introduced as a potential launching pad for stars of the future, WWE has lazily reverted to type in the last couple of years, and this is now seen similarly to any other battle royal - an excuse to get wrestlers with nothing to do a place on the card - and thus it has been demoted to the pre-show for the last two years. The 2019 edition could be well stocked with talent, with quite a lot of big names such as Dean Ambrose, Elias and EC3 from RAW, and Shinsuke Nakamura, Samoa Joe and Jeff Hardy on SmackDown Live, all lacking direction less than two months out.